For 30 years our family has been managing Hotel Annamaria with passion, love and with widely acknowledged Romagna hospitality. We love taking care of our guests as friends and spending time with them in our garden. We are a three-star hotel with 24 rooms, offering a B&B, Full Board and All Inclusive for a carefree holiday. 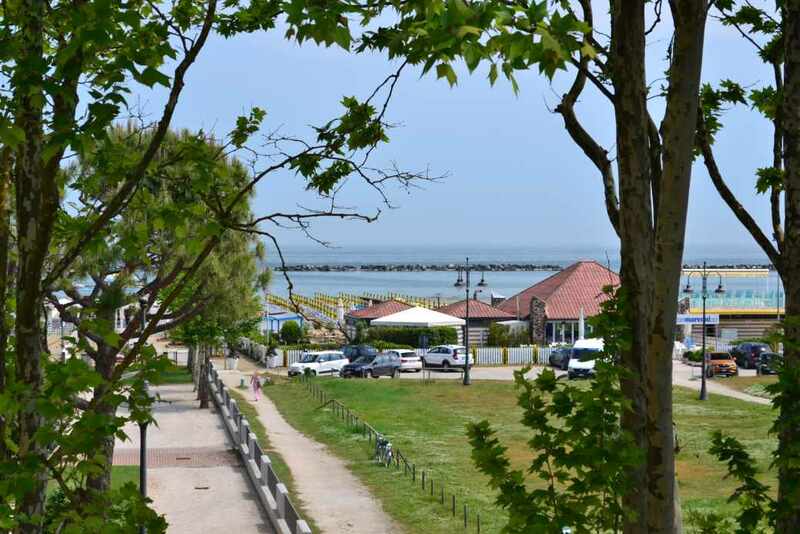 The hotel lies in a green and peaceful section of the towns main promenade, close to the main attractions and just one minute from the beach. The restaurant is our pride. Chef Gabriele manages the kitchen with love and creates new and tasty recipes everyday with fresh and seasonal ingredients. Use the button below to request a quote. 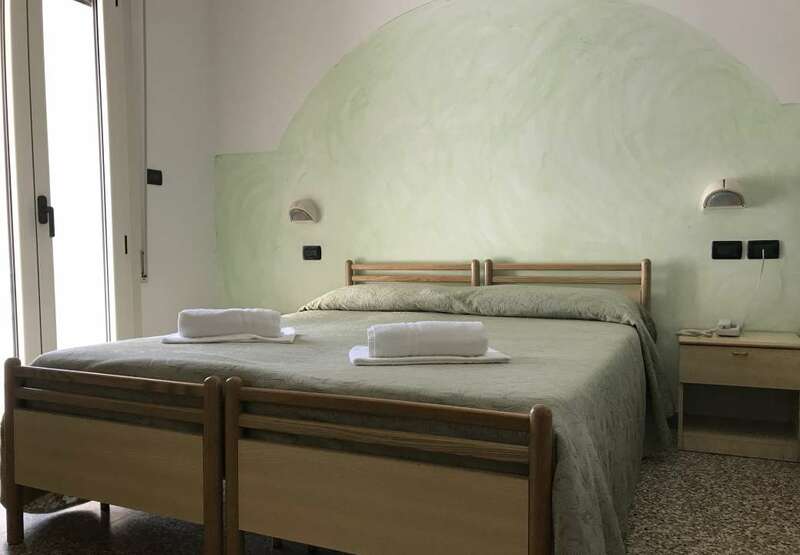 At Hotel Annamaria every room has a soul, tells a story and sometimes even has a name. Room number 15 is called “Marta” because for 30 years Mrs. Marta has been visiting us with her daughter and nephews and always asks for number 15. Number 20 is the “tango dancers room” named after a young couple who vibrantly argued at the restaurant and then made “peace” all night long in the room. Room number 8 is the “Madonna room”, because after Fatima and Lourdes the Virgin Mary made a miracle here too, helping an old couple to love each other again. We can talk for hours and write a book about our rooms, but the point is we have 24 rooms ready to make you feel at home. We also have 9 sea-view rooms with a balcony for € 9 extra, per day, per room. Everyday Chef Gabriele cooks for you with the authentic and traditional flavours of Romagna and the Adriatic Sea. 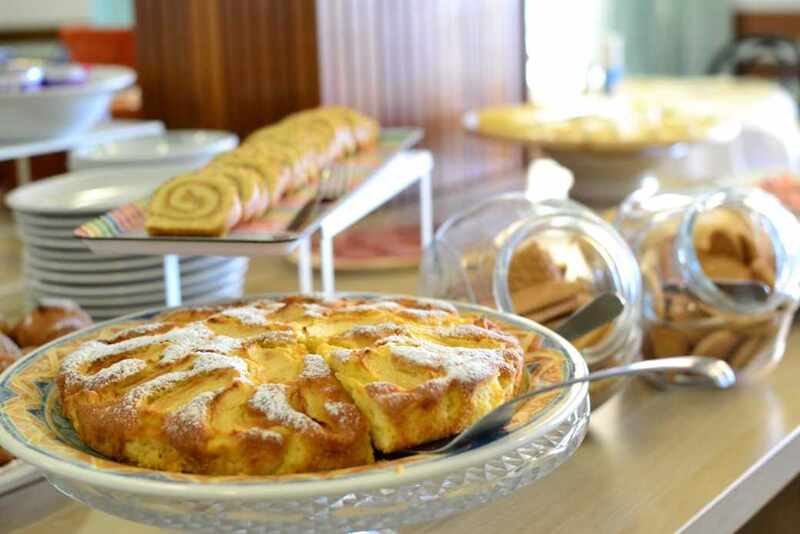 You can enjoy our rich continental breakfast buffet in our sun warmed garden. Spoil yourself with our daily menus choosing from three first courses, three second courses, dessert or fruit and a fresh veggie buffet. Once a week you can enjoy a traditional and authentic Romagna dinner, tasting delicious local recipes. Thanks to the cooperation with “Bagno Marconi” and “Diamanti Village” our offer integrates beach & pools services. • Beach volleyball, beach tennis, soccer, basketball and bocce fields. 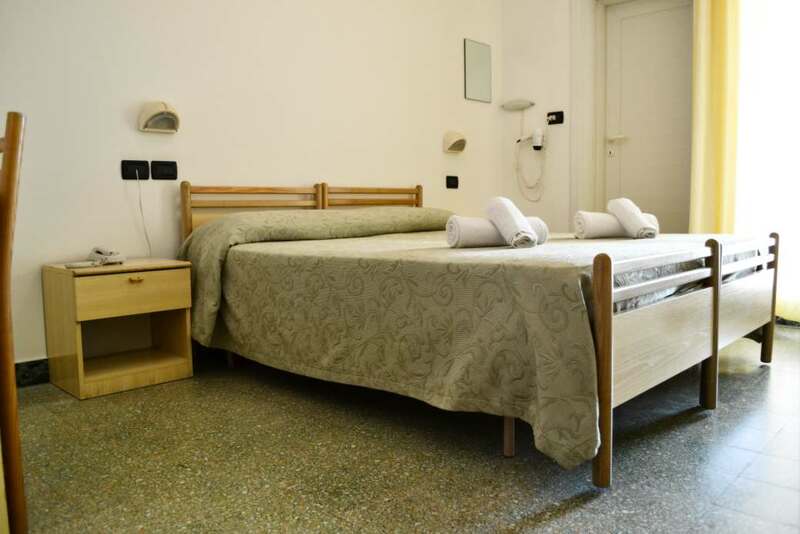 Hotel Services: Full board with water and wine during meals, Romagna dinner, wi-fi, air conditioning and heating, free bicycles, games for children in the garden, wine tasting. Beach Services: 1 umbrella and 2 sunbeds at the beach, swimming pools with water slide on the beach, entertainment staff for kids and adults, beach volleyball, beach tennis, soccer, basketball and bocce fields. Prices per day, per person, for a minimum stay of 3 days. Tourist tax is not included in the price. 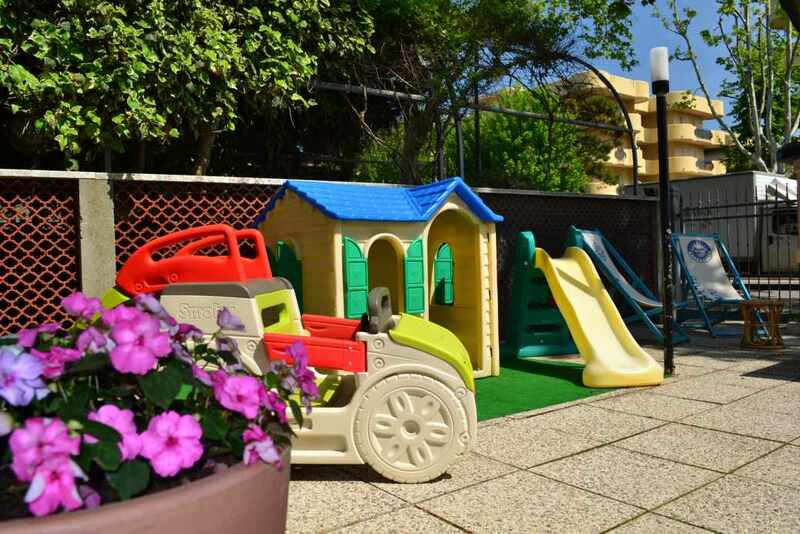 € 1.50 per person for a maximum of 7 nights, children up to 14 years old are excluded. Sea view room with balcony for € 9 extra, per day, per room. sea, art cities, medieval villages, amusement parks, spas, tastings … the adventure starts here. 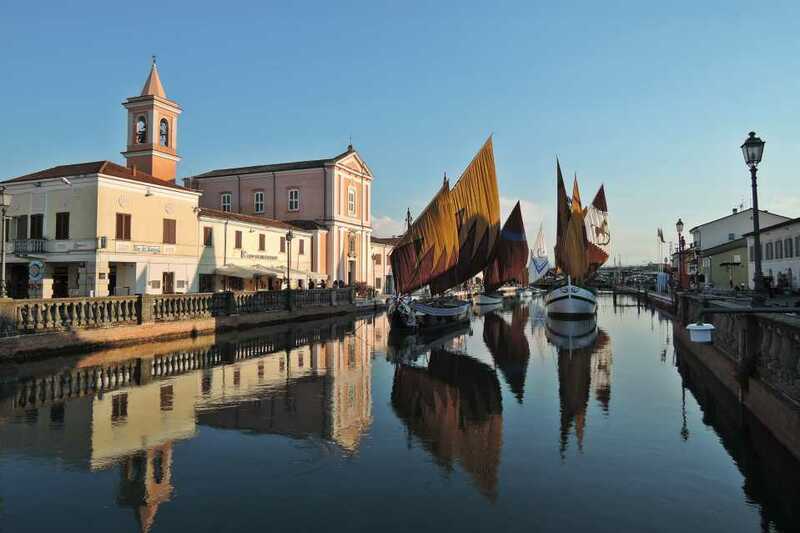 Leonardo da Vinci designed the canal of Cesenatico. Colorful houses, shops and seafood restaurants make the old town an open-air museum. You can also visit the picturesque and characteristic museums such as the Maritime Museum, Casa Marino Moretti, Marco Pantani Museum and the Piazzetta delle Conserve. Cesena boasts many places to discover: the fortress, Piazza del Popolo, the mountain abbey, and most famously the Malatesta Library. Inserted in the register of “memories of the world” of UNESCO as the oldest civic library in the world as the first library open to all those who knew how to read and is still preserved in perfect condition. 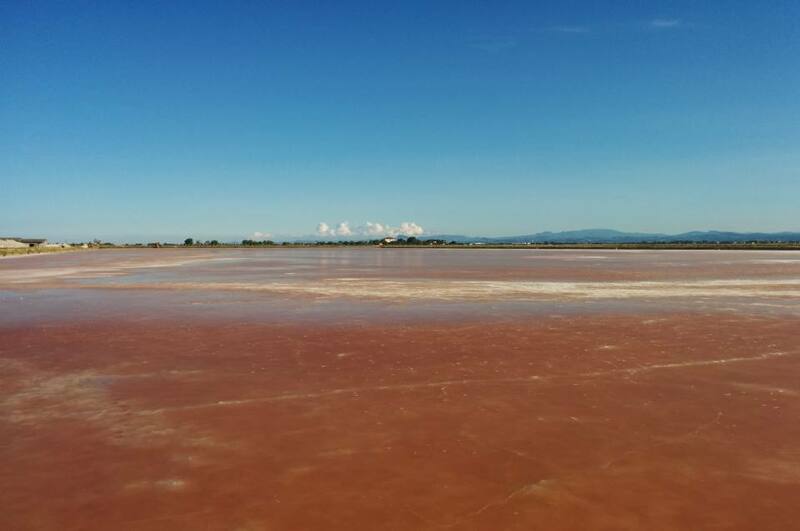 These are the most particular salt pans in Italy. The DOLCE salt is produced here. With a pink-gray color and a slightly bitter taste, it is a special salt produced only in these small salt pans thanks to climatic factors and natural processing methods. Guided excursions on foot and by electric boat leave from the Visitor Center. 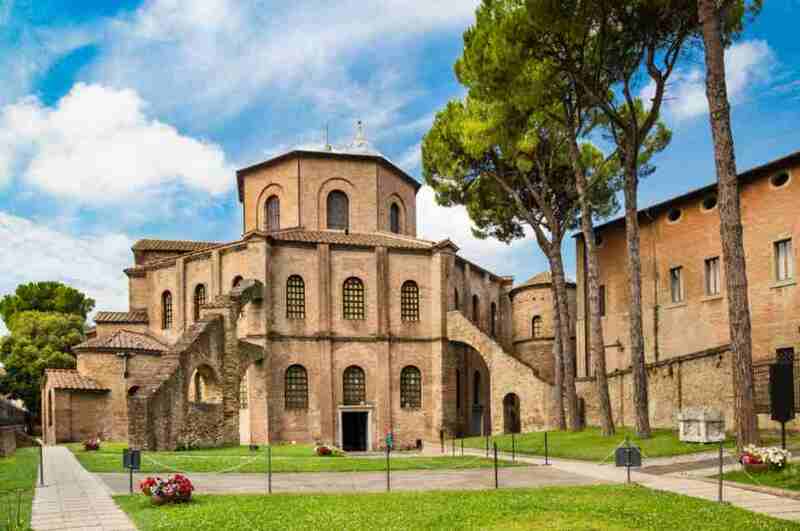 City included in the list of UNESCOs World Heritage, Ravenna is a jewel to be discovered. The collection of early Christian and Byzantine religious monuments such as the Basilica of San Vitale, the Mausoleum of Galla Placidia, the Aristocratic and Orthodox Baptisteries, the Basilica of Sant\’Apollinare Nuova and in Classe, the Archiepiscopal Chapel and the Mausoleum of Theodoric are true masterpieces of ancient art. 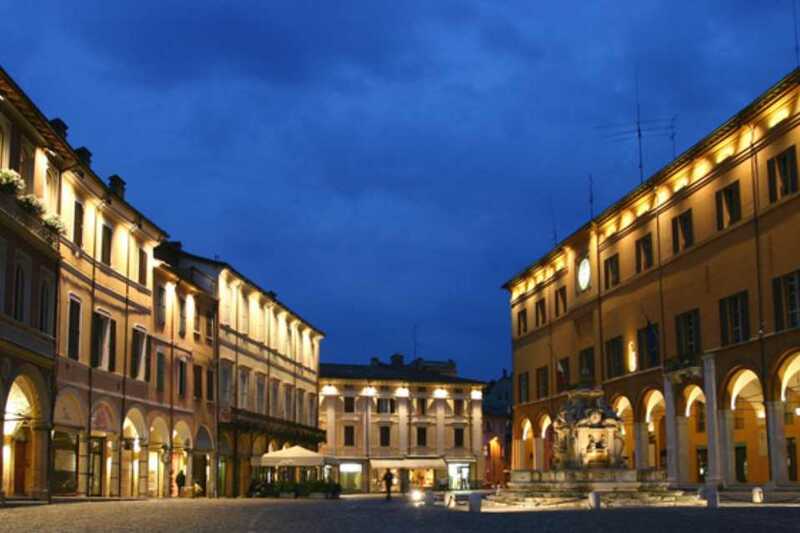 Located in the middle of Romagna, Santarcangelo is a beautiful medieval village full of culture and history. 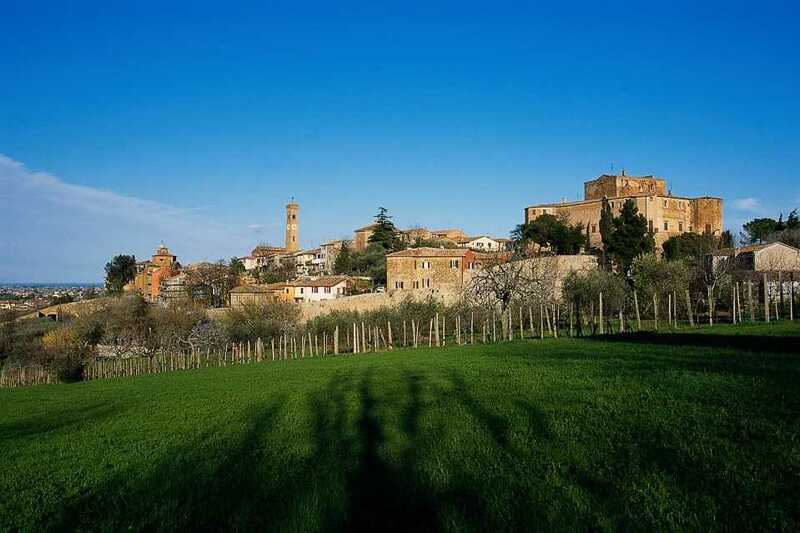 Tonino Guerra, Fabio de Luigi, Daniele Luttazzi’s birthplace, boasts a rich gastronomic tradition and mysterious caves that create an underground labyrinth. The village is perfect for a romantic evening. 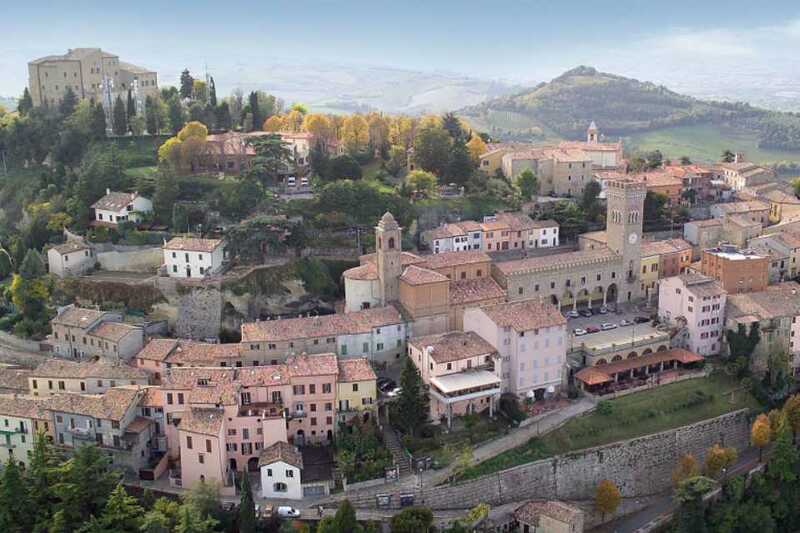 Besides its hospitality and the wonderful bird’s eye view you can enjoy from the main square Piazza della Libertà – it is not by chance that it was called “Balcony of Romagna” – Bertinoro is a typical example of Medieval citadel, featuring walls, towers and old houses, also known as the “Town of Wine”. The most famous wine of Bertinoro is Albana Dolce di Romagna DOCG. Per il quarto anno di fila siamo andati all'Hotel Annamaria dove si sta benissimo e si mangia benissimo. Bravi Gabriele e Patrizia per la Vostra disponibilità a soddisfare tutte le esigenze dei clienti. Il menu è sempre diverso di anno in anno e di settimana in settimana. Inoltre la scelta è tra tre primi, tre secondi e tre tipi di versi di dessert. Dopo aver servito tutti passano per dare la possibilità a tutti di assaggiare anche gli altri piatti. La colazione è super abbondante, dolci di vario genere, pane di vario tipo, frutta, ecc....spiaggia super accessoriata di fronte all'hotel. 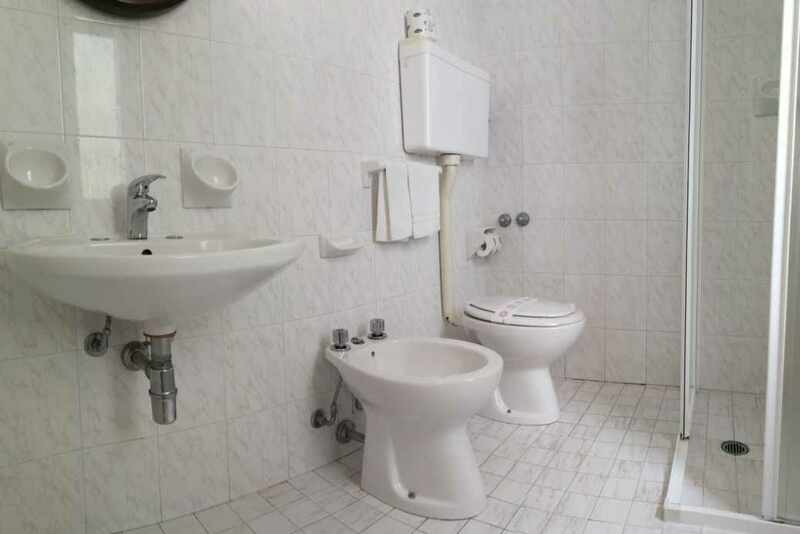 La pulizia sia delle camere che all'interno dell'albergo direi ottima. E' possibile anche utilizzare le bici dell'albergo gratuitamente con ottimi collegamenti. Anche la nuova cameriera di quest'anno era bravissima e molto veloce. Grazie Patrizia e Gabriele. All'anno prossimo. Sono stato in questo albergo con la mia famiglia a ridosso di Ferragosto,per passare 12 giorni di vacanza. Fin da subito sia la signora Patrizia che il figlio Marco ci hanno fatto sentire subito a casa... abbiamo scoperto lo chef Gabriele, che ci ha coccolati con pranzi e cene genuine e caserecce, dove la Romagna e i sui piatti forti sono protagonisti. Marco ci ha fatto degustare e conoscere anche molti vini Romagnoli, grazie alla sua iniziativa di invitare alcune cantine locali che, da turisti, devo dire la verità non conoscevo...nonostante sia cresciuto in Romagna ed è da oltre una trentina di anni che frequento Cesenatico e i colli vincoli limitrofi. Apprezzabile è anche la signora Patrizia che ci ha deliziato una serata raccontandoci come si potevano Interpretare i sogni.Tema sul quale è molto ferrata in quanto presenta una trasmissione radiofonica durante la stagione invernale a Cesenatico. Direi che è molto probabile una nostra permanenza in un futuro prossimo in questo splendido albergo dove sentirsi a casa è sinonimo di cortesia e ospitalità...come da tradizione romagnola. Abbiamo soggiornato nell'hotel Annamaria dal 10/06 al 20/06 con mia figlia Alessandra e la mia piccola nipotina Nadia di 19 mesi....è inutile dire che ci siamo trovate splendidamente. I proprietari Gabriele e Patrizia sono persone d'altri tempi dove il rispetto per il cliente viene prima di ogni cosa, e che dire del figlio Marco che ci ha fatto passare 10 giorni coccolandoci e esaudendo ogni nostra richiesta!! Il cibo buonissimo di carne e pesce con 3 primi e 3 secondi sia a pranzo che a cena cucinato dallo chef Gabriele!!! Grazie di tutto per averci fatto sentire come in famiglia, e di sicuro torneremo molto presto a trovarvi. Rosanna Alessandra e Nadia. Are you looking for a place for you holiday? Don’t wait! Take a look to understand how we process your data. I Would like to receive special offers, newsletter. Take a look to understand how we process your data.